Over 30 members attended the Wild Life talk by Graham Robson. Graham is a retired farmer who lives in Marton. 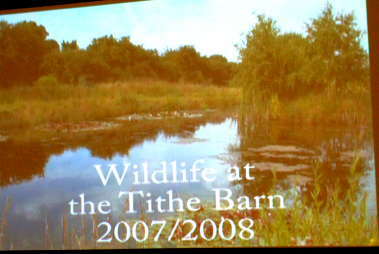 He has filmed wild life at a pool, in 1 acre of ground, on his site - Tithe Barn. Since this is nearby, the video reflected wild life in Warwickshire in the last two years. The main species shown were: dragonflies, Butterflies and birds. We saw film of a stoat stealing birds eggs - the birds could not fight it off. We saw Coots chicks being fed eels. We saw Canada geese - Graham does not like these - they are very dirty. The Kingfisher was filmed perched on a special perch Graham had set up. We also saw some Lapwings - not so common now. Graham has filmed 17 different species of dragonflies at the pool. They are actually grouped into dragonflies and damselflies: true Dragonflies are the bi-plane type, large, powerful and active flyers whereas Damselflies are generally smaller. They have a weaker flight and usually stay close to vegetation or to the water surface. Below can be seen the Small Red Damselfly. 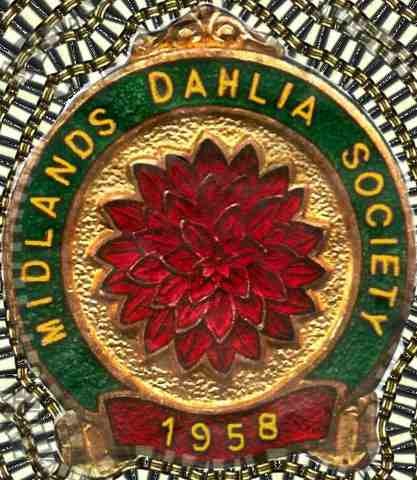 This did not appear in Warwickshire until 1999. Other species seen are: Large Red and Common Blue damselflies, Common Darter dragonfly and the largest dragonfly - the Emperor, which is 6 inches long. Small White and Large White butterflies are indigenous, whilst Red Admirals and Painted Ladies are immigrants. Adult butterflies feed on nectar. The Elephant Hawk moth is so called since the caterpillar has an elephant type snout! The difference between a butterfly and a moth is: moths have a 'bulb' on the end of their antennae, butterflies do not.